This design is 5'' wide. 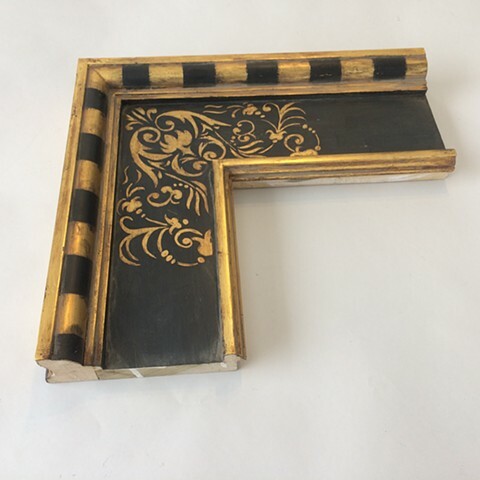 23 karat burnished gold leaf with black and gold blocks and a sgrafitto design in the corners. Based on 17th century Spanish frame designs.